The Lendlease-managed Australian Prime Property Fund Commercial (APPF Commercial) has taken One Melbourne Quarter off the market. 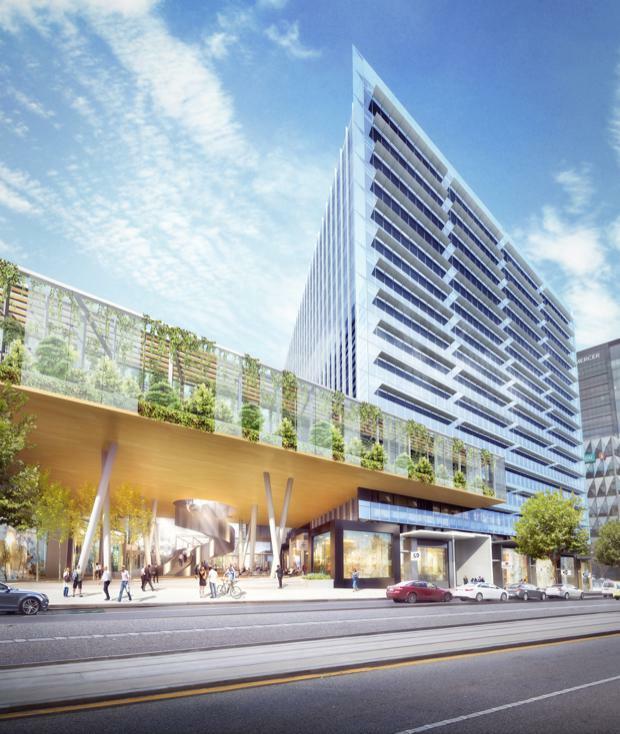 The new, next-generation office tower at the $2 billion Melbourne Quarter project will also be the future home of Lendlease’s Victorian headquarters, with the company announcing that it will consolidate its Melbourne office sites to One Melbourne Quarter when the building is delivered in 2018. Designed by Melbourne architects Denton Corker Marshall, One Melbourne Quarter is the first of seven commercial and residential buildings and will target leading sustainability outcomes, including a 6 Star Green Star Design and As Built rating, and a 5 star NABERS energy rating. Lendlease Chief Executive Officer for Property Kylie Rampa said the sale of One Melbourne Quarter is a key milestone in the early stages of the project. “The sale of this building brings the vision of Melbourne Quarter to life and will drive increased momentum for the project. We continue to witness the city shift its commercial centre west along Collins Street, with many leading national and global enterprises already having made the move. “As we did with our global head office move to Barangaroo in Sydney this year, we will be consolidating our Melbourne offices to bring our Victorian people together at One Melbourne Quarter in 2018,” she said. 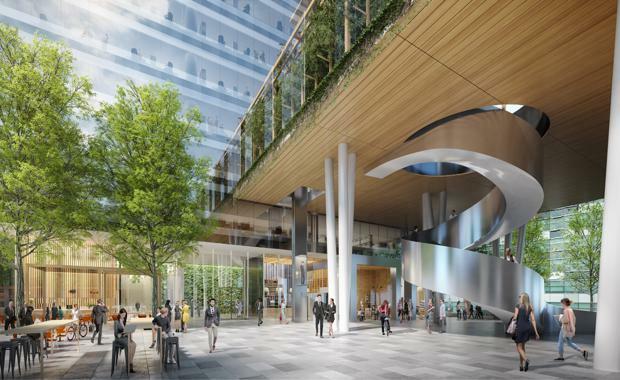 Lendlease will occupy four floors of the 13 level, circa 26,400 square metre building; joining global design and engineering firm Arup who will also relocate its Victorian workforce to the same tower. “The investment is consistent with APPF Commercial’s strategy to up-weight into efficient, sustainable and people-centric buildings, and complements the Fund’s recent acquisition of Darling Square and its interests in International Towers One, Two and Three at Barangaroo in Sydney," Lendlease Managing Director Josh McHutchison said. APPF Commercial’s investment in One Melbourne Quarter comprises circa 26,400 square metres net lettable area (NLA) with large floorplates of approximately 2,000 square metres, retail lettable area of 980 square metres and up to 106 car spaces. Bringing together the latest thinking in sustainability, technology and health and wellbeing, Melbourne Quarter is expected to offer approximately 120,000 square metres of agile and flexible office space, circa 1,690 apartments, 4,000 square metres of retail space, childcare and end-of-trip facilities and a health and wellness centre. 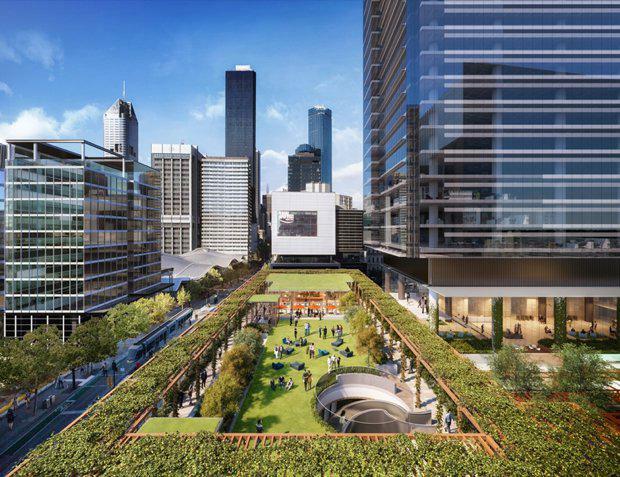 Melbourne Quarter’s Skypark will complement the leading workplace design, offering workers the ability to re-charge or work outside the office, enhancing their health and wellbeing– a key trend in global workplace design. The precinct boasts a strong environmental focus, with more than half of the site dedicated to public open space.